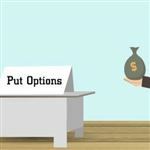 What is a put and a call option? Learn the basics here. Understand how options help you gain leverage while using less capital. Sounds promising, but as a beginning trader, should you dabble in calls and puts? Read on to understand the difference between a put and call. Why Should You Trade Calls and Puts? What is the difference between a call and a put? A call option gives the holder the right (but not the obligation) to buy the underlying stock at a specific price by the expiration date. This is the opposite of a put option, which gives the holder the right to sell. Trading puts and calls is similar to betting. 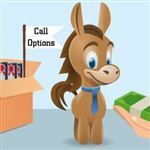 The options buyer takes a "gamble" on the stock's volatility by paying a premium for the right to buy shares of an underlying stock at a specific price by the expiration date (call option). Options sellers buy the right to sell the stock by the expiration date (put option). The "bet" is that the underlying stock price will go up or down before expiration. Betting is risky, though. Why would you want to take a chance? Did you know: Options are a derivative of the underlying security. The price of the option depends on how the stock is performing at any given time. The price of options changes as the stock price changes. It also keeps pace with the supply and demand for the derivative. It's all about leverage. When you invest in options, you are using less of your money to access a particular stock than if you bought (or sold) the shares outright. And you stand to gain more value from your purchase in the end. What happens if the price of the underlying stock doesn't rise as much as you thought (or go down if you were planning to sell?). If the deal flops, you lose your premium. You don't have an obligation to buy or sell a stock. No trades occur. An option gives you a "right." If you made the investment and bought the shares, though, you would lose a lot more than just your premium. Of course, the amount you bet affects how big or small your losses become. Expiration Dates Make a Difference: A large difference between buying and selling options and buying and selling the underlying stock is the expiration date. When you buy a stock, there is no expiration. You keep it as long as you want until you decide to sell it. An option, on the other hand, is only valid for the specified period. Once the period is over, the option expires and is no longer valid. If, however, you sell options calls or puts, you have the obligation to trade shares of the underlying stock. This is where it gets riskier. You aren't calling the shots. The buyer (holder) calls them. It can still be profitable when things go right. It can also be detrimental if things go wrong. A trader who puts it all in options premiums stands to lose it all. If you are smart and diversify your investments by investing in different types of options, futures, forex, and various other investments, you put some of your money at risk (but not all of it). Stock prices don't have to make major increases or decreases to make income with options. Sometimes, stock prices don't change at all before an option's expiration date. You can 'bet' on this situation too. Buying an option contract with a strike price equal to the current market price is a way. You don't have to wait for a volatile market to utilize the benefits of options. If you have experience in stock trades and do your research, options might be a good addition to your portfolio. Should you make your entire portfolio options? We don't recommend it. 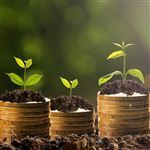 But, if you have the right support, options can be a valuable asset and may help you increase your earnings potential on your investments. Exercising an Option: Just because you buy or sell an option, doesn't mean it's automatically exercised. It depends on the circumstances of the contract. If what you predicted does not happen within the allotted time, you don't have anything to exercise. The option then 'expires worthless.' In other words, you either walk away with a loss equal to the premium you paid or a profit equal to the premium paid to you. Why would you buy a call option? If you think a stock price will rise, you can buy a call option. A call option gives you the right to buy the underlying stock at a specific price by the expiration date. When you want to buy a stock at a specific price, you buy a call option. Investors use this strategy when they feel bullish about the price of an underlying stock. If the price does increase, the call buyer can buy the stock at the strike price of the call. The call buyer can then sell it at the higher market price and make a profit. This only occurs if the stock increases before the option's expiration date, though. Feeling Bullish? When a trader feels bullish about a stock or the market in general, they think the price will increase. They have a positive feeling about the stock or market in general. You can also sell a call option. The writer (aka the call seller feels bearish about the underlying stock's price.. If the stock's price does decrease, the writer walks away with the premium. The contract expires worthless. If the price of the underlying asset increases, the call seller stands to lose money. This is especially true if he sells an uncovered call (he did not own the stock). Feeling Bearish? When a trader feels bearish about a stock or the market, they think the price will decrease. In this case, they have a negative feeling about the stock or the overall stock market. Why would you buy a put option? If you think a stock price will fall, you can buy a put option. A put option gives you the right to sell the underlying stock at a specific price by the expiration date. Investors buy a put option when they think a particular stock's price will plummet. It gives them the right to sell shares of the underlying stock at the strike price prior to the expiration date. If the market price falls, the put buyer can exercise his right to sell at the higher price. Experienced traders can also sell a put option. Investors who write put options think the price of the underlying security will increase. If it does, the contract expires worthless, and the writer keeps the premium. If the stock price decreases, the buyer may execute the contract. The writer is then required to buy the stock at the strike price. This leaves you open for significant loss. Trading options is not the same as stock trades. Sometimes, you may not even trade anything if the stock does not perform as you predicted before the expiration date when trading options. When you trade stocks, you buy or sell a specific number of shares. When you trade options, you buy the right to trade stocks. Whether you do trade or not depends on the circumstances. Just like any other investment, there's no guarantee that you'll make money with options. It depends on how the market reacts. But, if things go right, you may reap great rewards. Traders who buy more than 1 options contract for an underlying security stand to make the largest profit. For example, let's say you can buy ABC stock for $40. You have enough money to buy 100 shares at $4,000. If you buy it, you are the owner of an asset. If the stock tanks, you lose your investment. Even selling the stock could result in a loss if the price dropped enough. If the stock price increases, you make a profit. It's very black and white. If instead, you bought an options contract at a $2 premium, you'd pay $200. At this price, you could afford 20 contracts. This is where it gets interesting. Keep in mind that you don't have any stock ownership with options. At this point, you do not own an asset, just a contract. Essentially, what you have is an opportunity for when, hopefully, the price of a stock goes your way before the expiration date. Let's say you bought a call with a strike price of $40. The market price increases to $50. You execute your 20 options contracts. Essentially, you buy the stock at $40 per share, then sell it for $50 per share. You make $10 per share and you have 100 shares. You also have 20 contracts, so that's 2,000 shares. At $10 profit per share, you made $20,000 minus the $4,000 premium for the investment. If you stuck with the stock ownership, you would still have made $10 per share, but you only held 100 shares. You would have a profit of $1,000 rather than $20,000 on your investment. Now, let's look at a put. We'll use the same ABC stock with a $40 current market price. This time, you think the stock's price will fall. You buy put contracts with a strike price of $40 and a premium of $2. You buy 20 contracts paying $4,000. This gives you the right to sell the stock at $40 if the market price falls. If the market price falls to $30, you execute your contract, selling the shares for $40 per share. Again, you made $10 per share. You have the right to sell 2,000 shares with your 20 contracts. Initially, you make $20,000. But, you must consider the $4,000 premium paid. You walk away with a $16,000 profit on your investment for selling stocks that you did not have to buy direct ownership in from the start. If you bought and sold the stock on the stock exchange, with a $40 initial price and a final price of $30, you would have lost $10 per share. At 100 shares, that's a loss of $1,000 on your investment. To be sure, trading options takes a lot more knowledge than trading stocks. Anyone can take a chance and buy a stock, hoping for the best. Trading options, however, requires knowledge not only about the company representing the underlying stock, but also knowledge about timing, making smart predictions, and how to carry out transactions. You also need to know how to read historical charts and look for patterns. And you need a coach. Your coach is your brokerage firm. You need someone who's been through it. Trading options only gets better through experience. A broker will have tried and proven strategies. You can use those strategies along with your own to create the options trading plan that works for you. Remember, trading options can be a lot of trial and error. You could end up with some pretty big losses up front. Diversification has historically been the key way to avoid financial destruction. How New Traders can Find a Broker: Many options trades occur online. Make sure to do your research as a beginning trader. You'll find many discount brokers claiming they offer options trading. Oftentimes, it's an afterthought and their main focus is on stocks and mutual funds. You need a platform that provides plenty of education regarding the options basics. You may also prefer one-on-one communication with a human, rather than a computer. Read our guide 'Best Options Broker,' to help you find the right platform/broker for you. Until you master the options basics, it's best to have plenty of support on your side. Trading options is serious business. You must do your research. You also need a supportive broker on your side. While they do provide the potential for incredible reward, they also allow for financial ruin. Dabbling in options can help you get a feel for the market one way or the other. Beginning investors often start by buying a call. Your broker must approve you for to trade options. They'll usually help you start small and build your way up. As you gain experience, you'll learn the ins and outs of calls and puts. Share on Facebook "Calls and Puts: What You Need to Know"